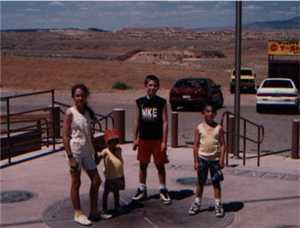 Six years ago our family stopped for lunch at the site where Utah, Colorado, New M exico, and Arizona all meet at what is called, "Four Corners." The fellow collecting the entrance fee looked at our full vehicle and didn’t charge us the full price, saying "kids just want to have fun." I did appreciate his generosity, though I had to wonder later what exactly there was for children to enjoy at that spot, once the fun of sitting on four states at the same time wore off. There wasn’t much else there. At one of the picnic tables in that desert location, we made our peanut butter and jelly sandwiches. In the time it took to finish putting the pieces of bread together and bringing them up to our mouths to eat, however, all the moisture had been sucked out of those sandwiches. Talk about dry! In that kind of climate, which bears some similarity to the land of Israel, water is a valuable commodity. Traveling through the southwest we made sure we drank plenty of fluids, for the moisture is sucked out of your body just like it was sucked out of those sandwiches we made that day. A humorous t-shirt I saw for sale out there had a skeleton sitting on a lounge chair with the caption, "Yes, it’s hot, but it’s dry heat." 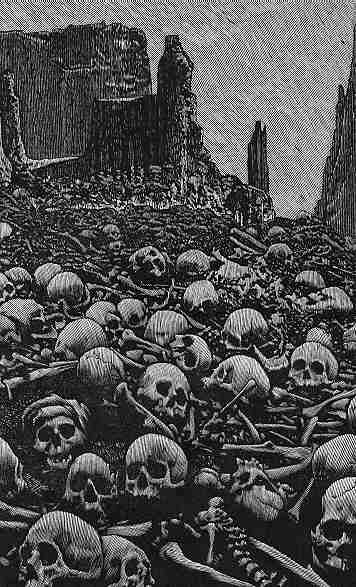 Speaking of skeletons, we just heard a fascinating, and perhaps somewhat frightening, vision Ezekiel had of that "valley of dry bones." Now, I can well imagine what Hollywood might do with such a scene - all these skeletal remains lying all over the place (can you see it?) which then start pulling together into bodies. Whoa! Might this be the stuff of which nightmares are made? I’ve got to tell you, though, this is no nightmare. This is not a scene of horror, but of hope. Hope... Back in Ezekiel’s day, God’s people had their spirit sucked right out of them, so that they resembled those unappetizing sandwiches our family tried to eat that day at "Four Corners." They were stuck in a dry valley, figuratively speaking. "Our bones are dried up," they cried, "our hope is lost; we are cut off completely" (37:11b). God helped Ezekiel to see the truth. As he looked at the people to whom the Lord had called him to be a prophet, he saw their condition in graphic detail. They were just a bunch of dry bones - scattered ... disconnected ... lifeless ... hopeless. Have you ever felt that way? We don’t have to face the same circumstances the children of Israel did long ago to know what this "valley of dry bones" is all about. We may not be in exile off in some distant Babylon, but we may feel like our spirit has evaporated away, like we’re disconnected from the source of our strength, like all that we are is just a bunch of bones. "I close my eyes, only for a moment, and the moment's gone. All my dreams, pass before my eyes, a curiosity. It slips away, all your money won’t another minute buy. Dust in the wind, all we are is dust in the wind." There is biblical wisdom here, echoing Ecclesiastes, who wrote, "All go to one place; all are from the dust, and all turn to dust again" (3:20). Twenty some-odd years ago, I remember thinking that the author of "Dust in the Wind," Kerry Livgren, was very close to the gospel, even though I knew he was not a Christian. As it turns out, he became one. Sometimes, experiencing "dry bones," realizing that "all we are is dust in the wind" is but a prelude to something more. Have you ever looked around you and seen just "dry bones?" There are times, for instance, when I go into a shopping mall and that’s what I see. I find it a disconcerting vision. Modern-day prophet, Paul Grout - the moderator of last year’s Annual Conference of our denomination, has called our shopping malls the real "temples" in our society. It’s here that people really come to worship, he says. There are times when I think he hit the nail on the head. "Don't hang on, nothing lasts forever but the earth and sky. If you buy into the lie that material things will bring you happiness, a bit of your spirit is sucked out of you. Of course, if we look, there are "dry bones" in many other places. Our brother Paul, and his mom, Patti, know full well the "dry bones" out there. Will a fix take care of your problems? Will a hit bring you happiness? Of course not. Maybe there is a momentary high, a spiritual surge for an instant, but what it takes away is more than it gives, right? Those who worship there have the life sucked out of them, leaving a bunch of dry bones. We are so thankful, Paul, that January 18th of 2001 marked a new birthday for you - your freedom day from drugs. We’ve been wanting to celebrate that, as well as your release from jail. For better or worse we picked today. There’ll even be a cake to share after worship. It’s appropriate, though, to place such a celebration in the context of a bigger celebration. 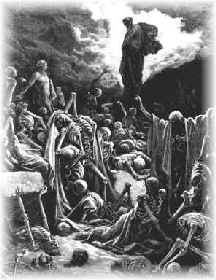 As I said, Ezekiel’s vision of a "valley of dry bones" is not a scene from a horror movie. It’s a word of hope. For you see, God called Ezekiel to speak to those dry bones, not just to look at them. God called Ezekiel to lay down a word of hope. At that word, those bones started rattling. You heard the word. It wasn’t a scene from a monster movie. Those bones came together. They were no longer scattered. What’s more, muscles and skin were added. This was no longer just a collection of bones in that valley. These were people - God’s people. But that’s not where the vision ended. God called Ezekiel to speak a word that breathed life into these people. No longer were they dry, scattered, disconnected, lifeless, and hopeless. They came alive. With a word which we believe pointed ahead to Jesus, God called Ezekiel to proclaim, "Thus says the Lord GOD: I am going to open your graves, and bring you up from your graves, O my people; and I will bring you back to the land of Israel. And you shall know that I am the LORD, when I open your graves, and bring you up from your graves, O my people. I will put my spirit within you, and you shall live, and I will place you on your own soil; then you shall know that I, the LORD, have spoken and will act," says the LORD" (37:12-14). Last Sunday we recalled the story of the calling of Matthias to be the twelfth apostle, replacing Judas Iscariot. Matthias himself (sort of) shared with us the good news, remembering the day in which Jesus was baptized up through the resurrection and ascension of Christ. His challenge was that we become, in our own way, apostles - people sent by God. Today we celebrate the next chapter in the book of Acts, the next step - really - in the acts of any apostles, then or now. In the story as we have received it, the followers of Jesus were like those bones in that dry, dry valley Ezekiel envisioned. The words of Jesus pulled these bones together. His resurrection caused muscles and the skin to form such that these were people, not just bones. But they needed to come alive, to become the living body of Christ. 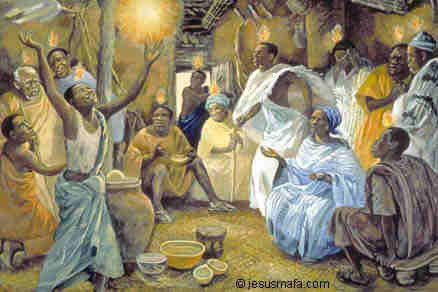 Pentecost is the celebration of that happening. On that day long ago, the very breath (Ruach) of God blew into them from the four corners of the world. The church came alive - a living, breathing body. This was the new birthday of God’s people. This was freedom day! As I said in relation to our brother Paul’s "freedom from drugs day," it’s appropriate to place such a celebration in the context of a bigger celebration. Jesus Christ sets you free. "So if the Son makes you free, you will be free indeed" (John 8:36). "I will place my spirit within you," God promised through Ezekiel, "and you shall live" (37:14). Pentecost is our freedom day, our birthday in Christ. On that first day of Pentecost, God "sent" the apostle Peter to speak a good word to what may have felt to him like a "valley of dry bones." Remember that Peter was a fisherman, not an experienced public speaker. The story as we’ve received it, though, portrays someone who words brought these bones to life. He had been set free to be more than he was. 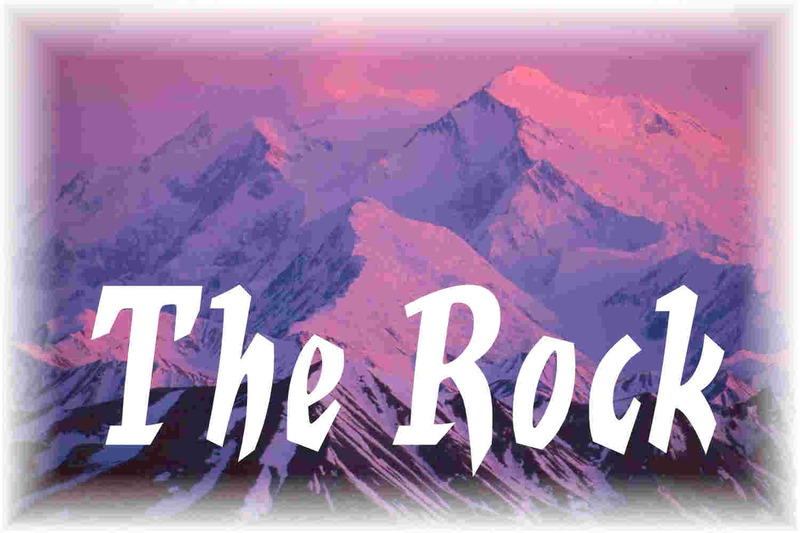 God had breathed his Spirit into this onetime bumbling disciple and made an apostle. When people heard what he had to say, they asked, "what should we do?" He replied, "Turn, be baptized in Jesus name, be forgiven, and you will receive the gift of the Holy Spirit. For the promise is for you ... and for everyone whom the Lord our God calls to him" (Acts 2:37-39). That valley of dry bones came alive! Just like this valley of dry bones can come to life today. If you have never turned to the Lord, been baptized, forgiven, received the Holy Spirit - know that this promise is for you. Perhaps today could be your freedom day, to step forward with your "Yes, Lord, I want to be a Christian!" Not someone else deciding for you, but you responding for yourself. Or if you have been going through a dry period in your life, and want to step fresh into what God promises in Christ through the Holy Spirit, maybe today can be your freedom day, being renewed by the Lord. Maybe, your prayer can be, "God, I’ve been so dry. I need you to breath on these bones that I can more fully live the life to which you have called me." Whatever the case, as we sing the next hymn, I invite you to come forward, if you feel so led, and let this be your birthday, your freedom day in Christ. May these dry bones rise! Amen. For commentaries consulted, see Ezekiel.